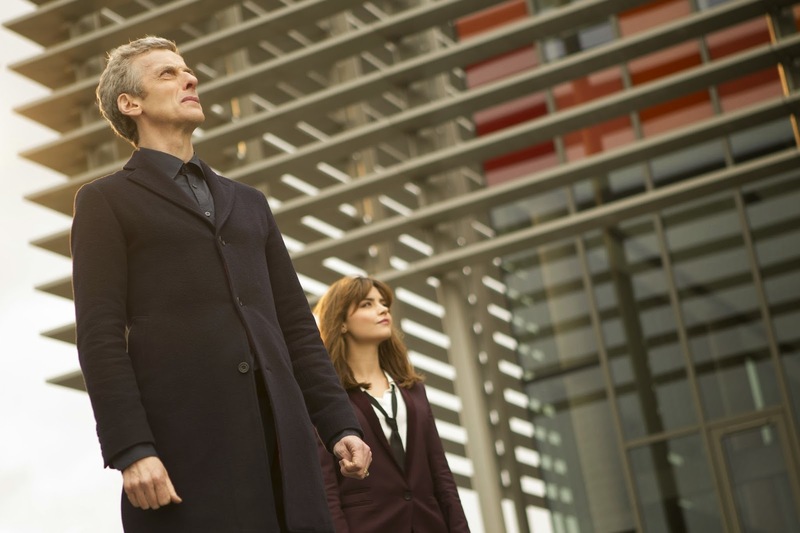 This standalone episode, written by Steve Thompson and Steven Moffat, is an incredibly refreshing change and is a territory rarely seen in Doctor Who. 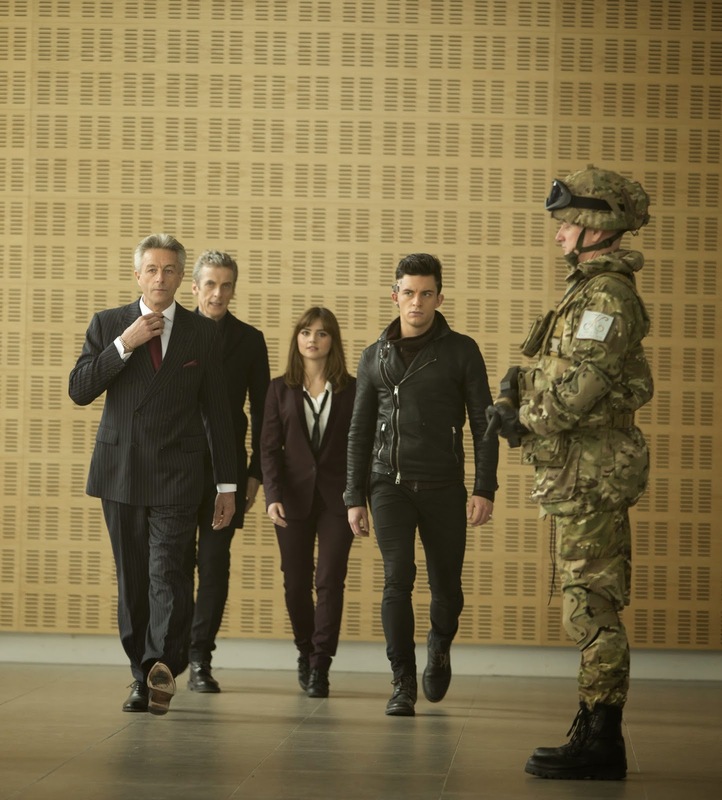 In this episode, The Doctor answers a phone call and the duo suddenly find themselves in a dark room with no memory of how they got there, other than that they were summoned by The Architect. Their mission? To rob The Bank of Karabraxos, the most impenetrable bank in the galaxy. It's so impenetrable, they have very few security staff, incredibly big ventilation shafts and rooms and when they do finally get into the vault, there's not a single member of staff there and every box can be opened at will. That feels like a bit of an oversight to me. 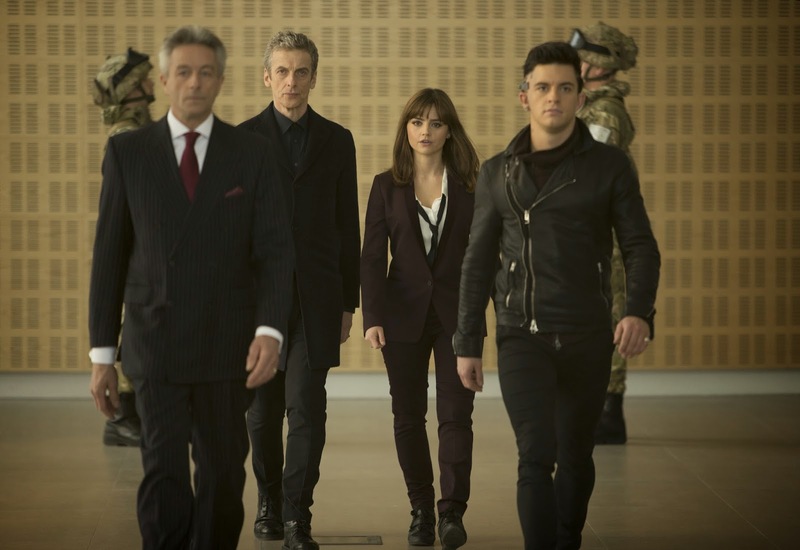 But the Doctor and Clara aren't alone. They have the perfect gang to do it. A forever lonely shape-changer, Saibra (played by Pippa Bennett-Warner) and a augmented hacker/bank robber who's lost his heart, Psi (played by Jonathan Bailey) join the cold-hearted Doctor in his adventure. They are up against the villain Ms Delphox, Keeley Hawes, and The Teller, a frightening being who can sense guilt and wipe out their minds. 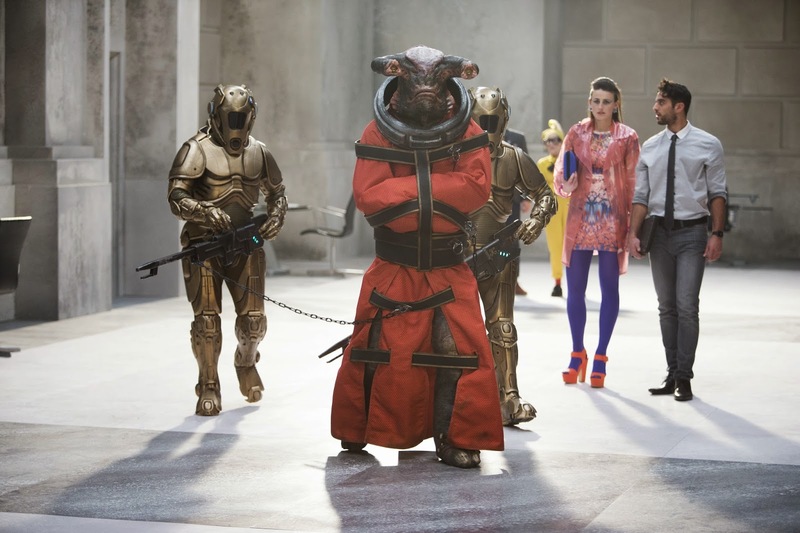 Thompson's previous episodes, The Curse of the Black Spot and Journey to the Centre of the TARDIS, were divisive and hit and miss among the fans of the show. This episode is easily the highlight of his three stories so far. Moffat has also co-written this episode, among several other this series. While RTD rewrote elements of stories written under him, this is quite a rare occurrence for Moffat. Instead, he appears to be keeping a tighter leash this series by co-writing a lot more stories with this being his second out of three stories. This shows clearly, especially in the fact that the pacing of the episode is fast but not rushed, which is a common thread for his standalone stories. This episode has quite a strange and conflicting tone to it. It feels like a dark episode trying to be a light-hearted romp and while it sometimes pulls it off, this is not always the case, especially later on. Presumably this is down to the director, Douglas MacKinnon, having just directed Listen, which was a dark episode. The episode has a slightly western feel to the episode with the mixture of 'robbing a bank', camera shots and music. It also feels a little like Smith's era, with constant references to "a thing", and there are connections to The God Complex in particular. One of the major problems I have with this episode is that there are a couple of mysteries that the episode gives which are far too predictable, something which I can't say often, and while the reveals feel rather cool, I believe it would have worked far better if they were red herrings. This episode is another "don't think about it so you don't spoil it" episode and a theme featured in the ending feels far too similar to an episode from the previous series. 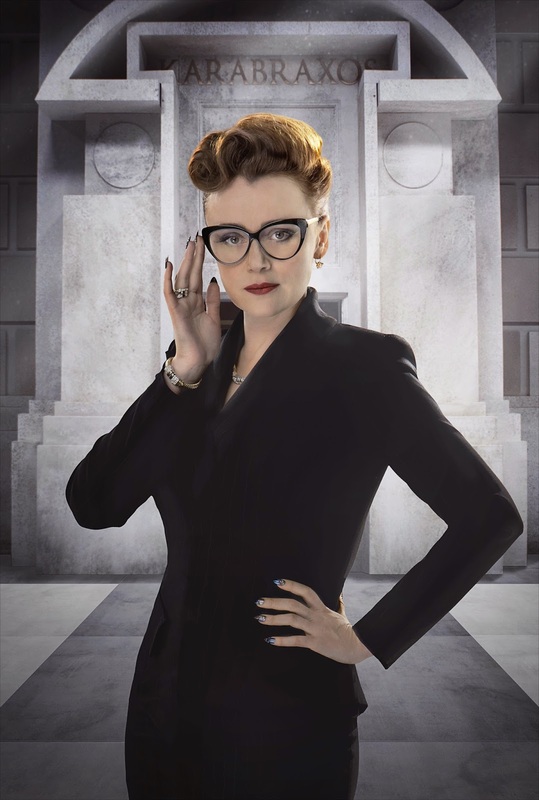 Keeley Hawes plays the villain with great effort but sadly, there isn't much to play on, which could be considered understandable since it is her job, rather than any great evil motive being present. Jonathan Bailey and Pippa Bennett-Warner provide an adequate job, although Bailey's character should have been fleshed out a lot more. We're only given the information needed for the story and not a single hint more. Capaldi is still struggling to keep the Tucker at bay while Coleman is still making excuses for them. Nothing new is added to the dynamic here, which is good since anything more would cause the story to seem very rushed. While Millennium FX normally do a wonderful job with the prosthetics on Doctor Who, and for nearly the whole episode the Teller is no expection, the final scene unfortunately lets them down massivley by giving off the sense of being far too rubbery and fake in the last scene. Luckily this is at the end and it doesn't matter nearly as much. Murray Gold's musical cues feature far more prominently in this episode as opposed to the previous episodes, which works very well to keep the suspense alive since there are multiple extended silent sequences in the episode. Finally, a short sidenote. The episode is quite important to a number of fans due to it's evidence of extended universe material being canon, for those who don't believe that. Mid-way through the episode, characters from previous stories were shown on screen. 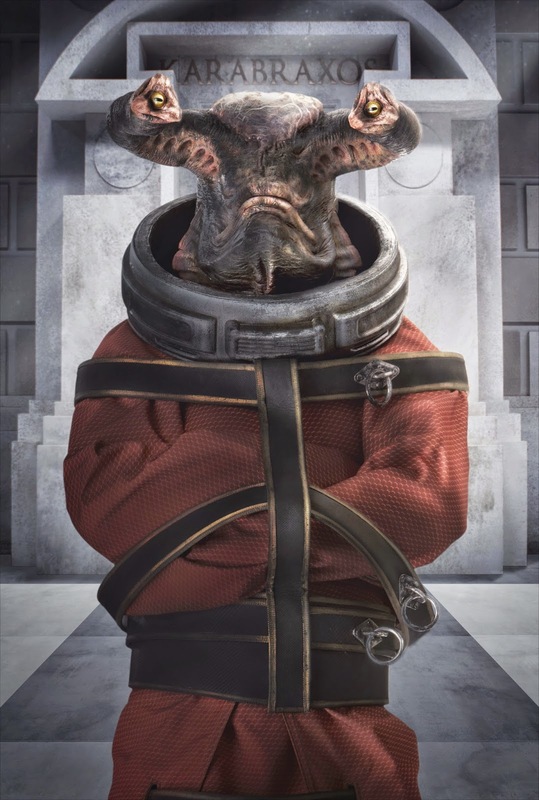 Among these were villains from classic, Torchwood and Sarah Jane Adventures, but most importantly, it contained Abslom Daak, a comic book villain featured in the DWM comics of the 80s. This is the first time that a comic book character has been seen in the show. Overall, I enjoyed this episode massively, perhaps equalling with Listen. Sadly, unlike Listen, this episode severely lacks on the ability to rewatch it over and over. I would rate this episode 7/10. Abslom Daak was really an anti-hero, not a villain. Did not like this episode. This is one of the few times where I actually lost the plot and had to ask someone in the room what was actually going on. And Mr. Moffat...really, I'm getting sick of your trite "villainess," which seems to be a hallmark of the post-2005 revival. She was cut and paste...all she was missing was a "sonic pen" and she could have been the governess from the awful "Adipose" episode from years past. Or stretch her flat and she could have been Cassandra. On the upside I did like the supporting cast, the cyberpunk in particular. Near the end of the episode, when Saibra says goodbye to the Doctor and walks away, he winces in pain. Was a scene cut, or is this arm pain a prelude to something larger?